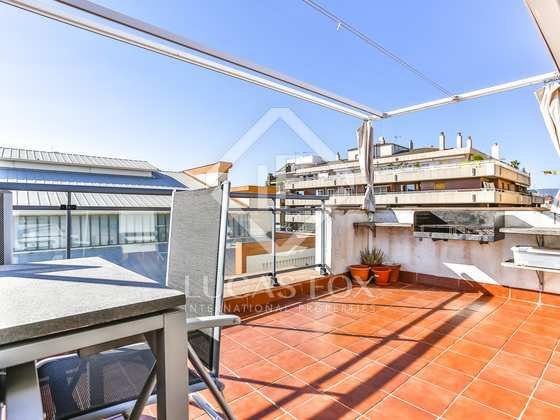 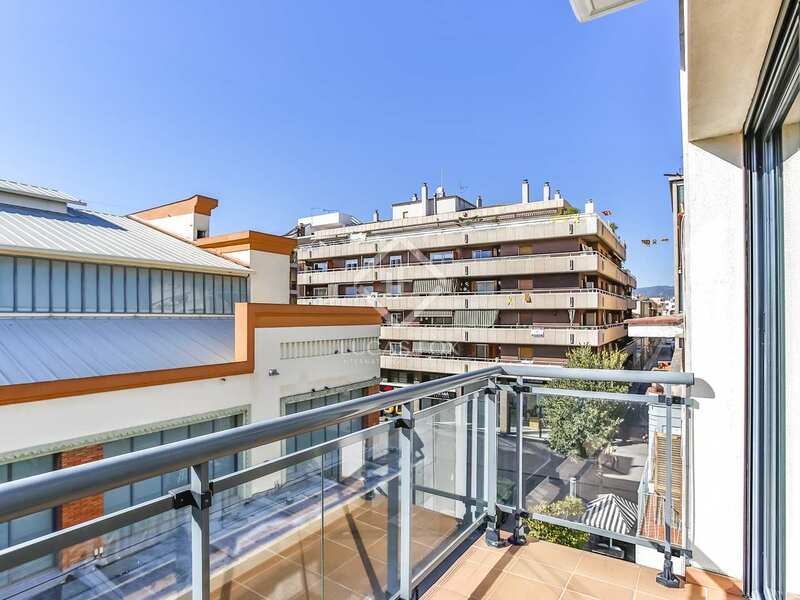 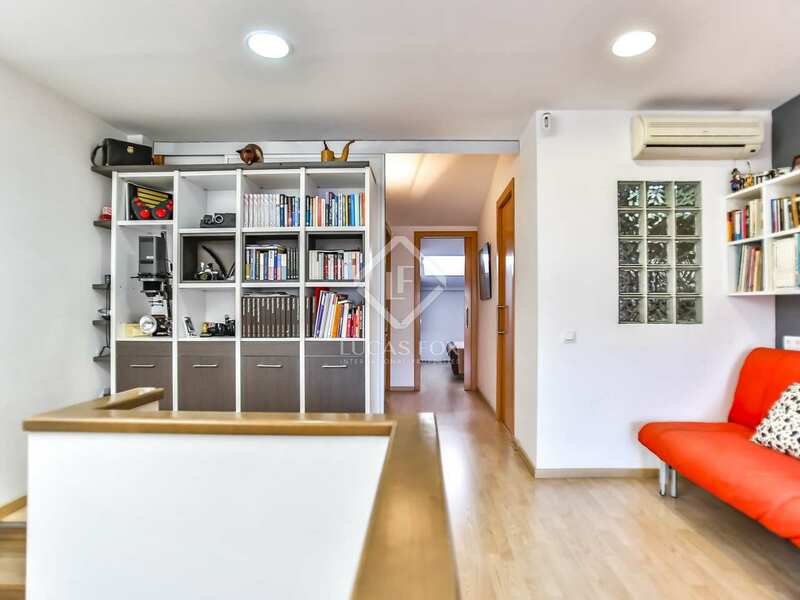 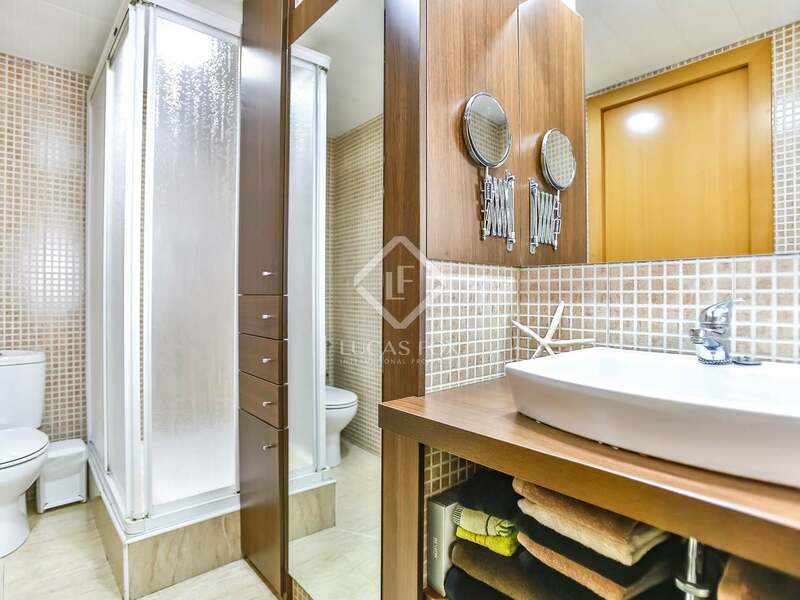 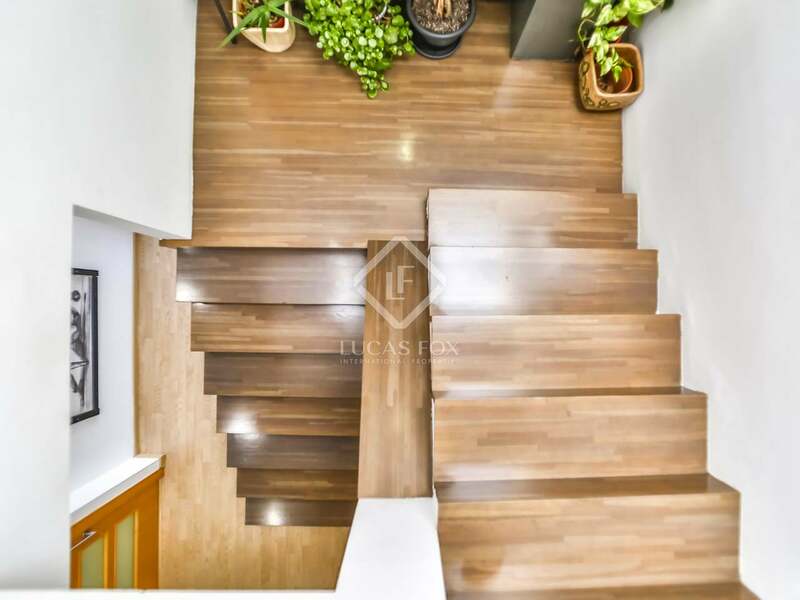 Recently built duplex penthouse located in the heart of Vilanova i la Geltrú, a privileged area surrounded by all services. 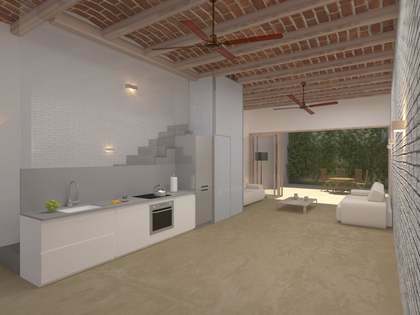 With a unique design, the penthouse receives plenty of natural light and has the best possible orientation. 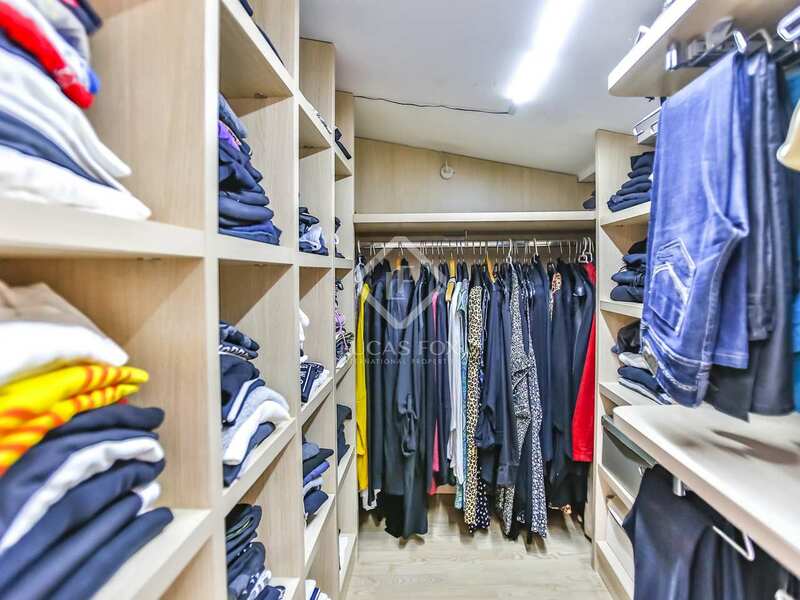 The spaces have been cleverly used with custom built cabinets and dressing rooms. 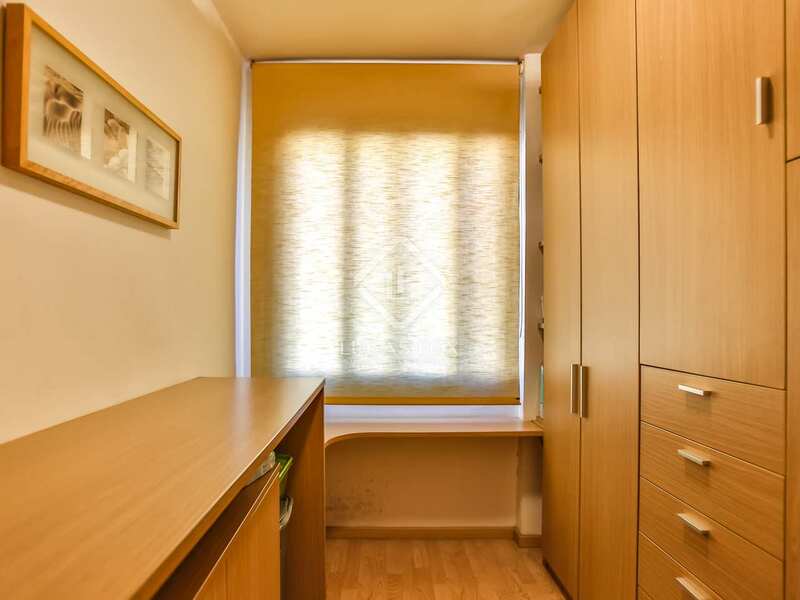 In addition, high quality materials have been used to provide thermal and acoustic insulation. 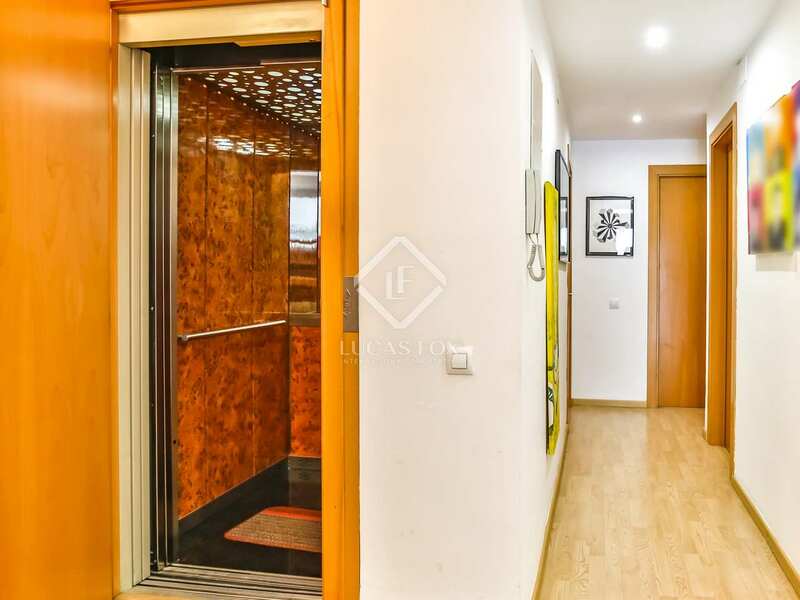 A lift goes directly to the apartment from where a wide staircase gives access to the upper floor. 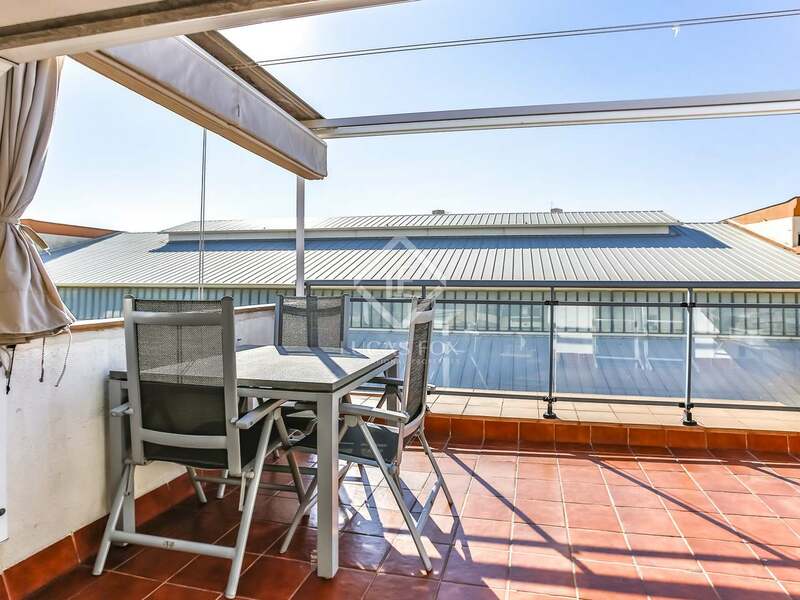 The lower floor has a spacious living-dining room with a balcony, an equipped kitchen, a double bedroom with a large custom built corner wardrobe, a single bedroom and a bathroom with a shower. 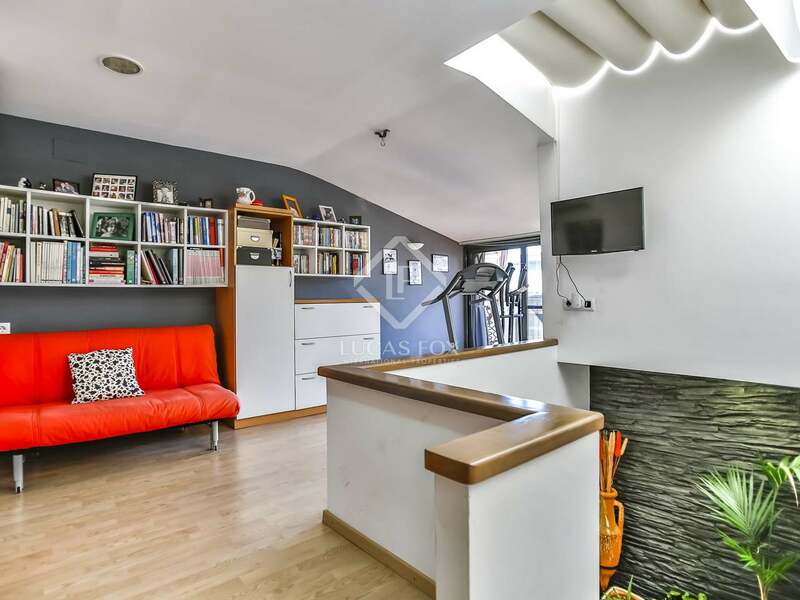 On the upper floor we find a large open space ideal for use as a study, living room or library. 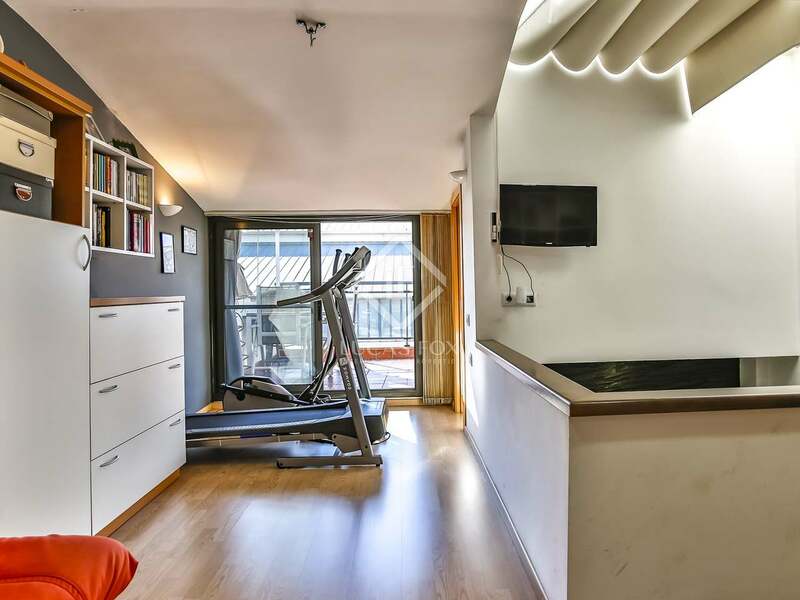 This space is currently used as a gym, with an adjoining storage room that could be converted into a dressing room, and access to the terrace. 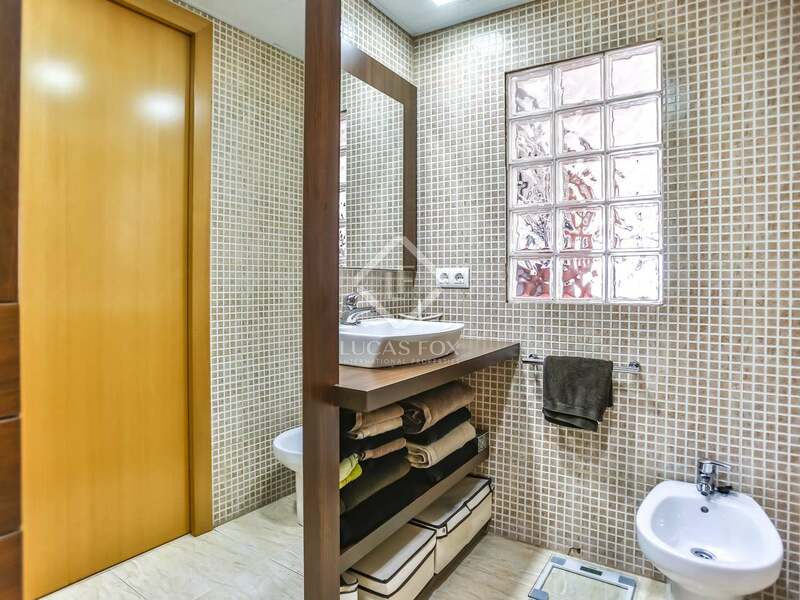 It also has a second full bathroom, a double bedroom with custom made cabinet and dressing room, and a single bedroom with a dressing room. 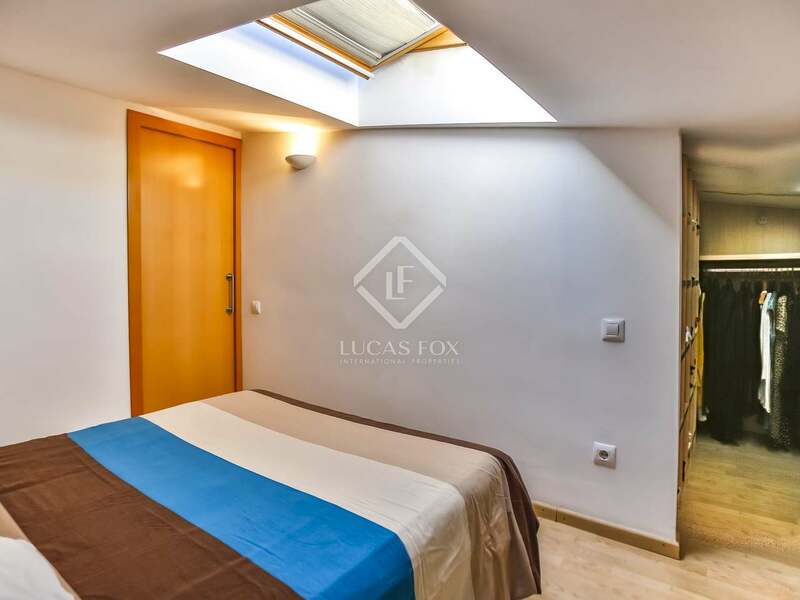 The bedrooms on this floor have sloping ceilings and large windows in the ceiling. 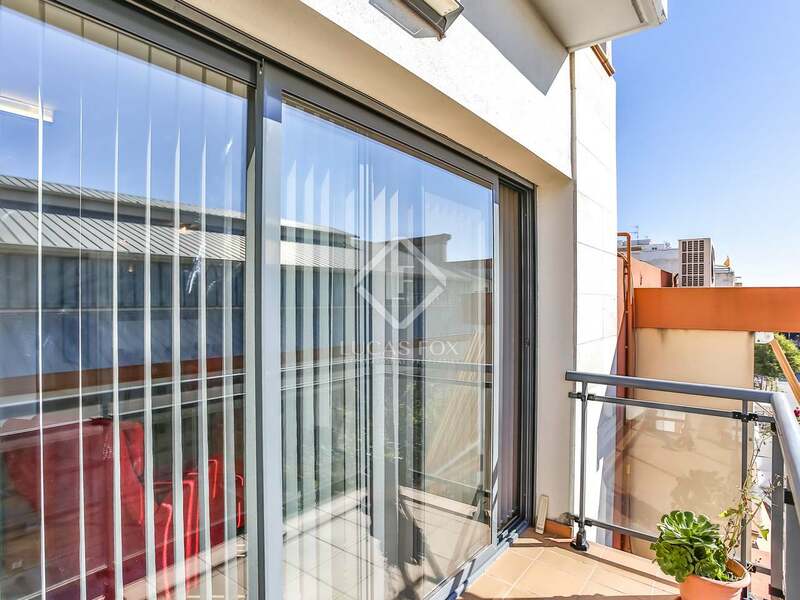 Additional features include aluminum exterior joinery, air conditioning with heat pump, high quality finishes and designer furniture. 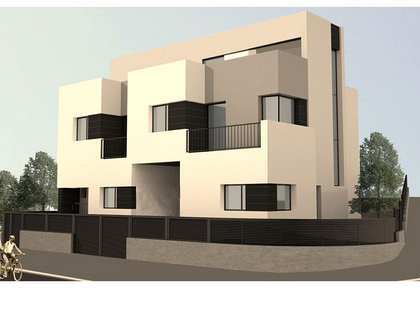 Ideal for families or investors, it is suitable for holiday rentals. 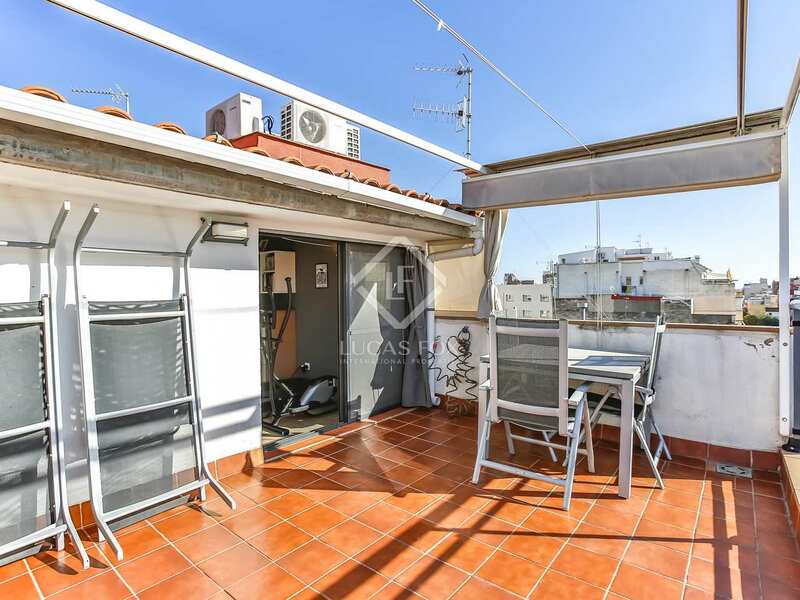 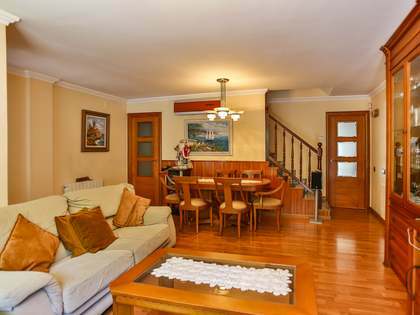 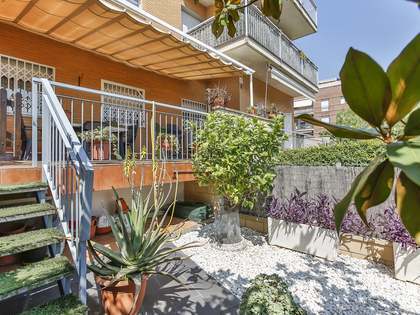 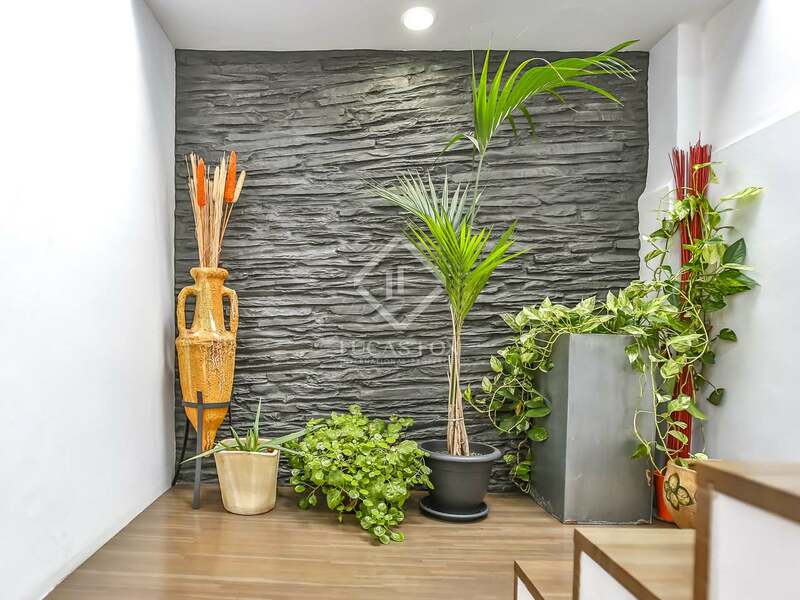 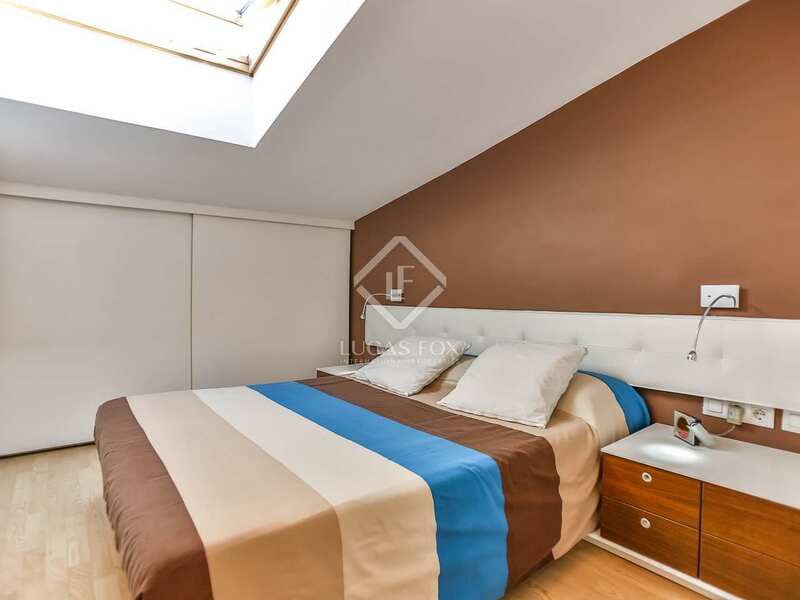 Property located in Plaza del Mercado, a few meters from the Rambla Principal, in the heart of Vilanova i la Geltrú. The area is surrounded by services such as a medical centre, the market, schools, shops, restaurants and public transport. 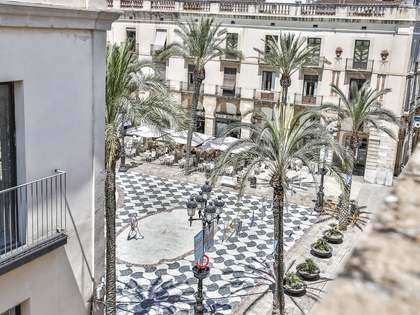 It is within walking distance of the Town Hall, 10 minutes from the train station, 40 minutes from Barcelona and 10 minutes from Sitges.